But it's not just a pretty package with lovely pictures. Roberts, who was the Director of the Royal Collection until 2010, was granted unprecedented access to these jewels and to the people who own and preserve them, including the Queen herself. His archival research is especially wonderful, and each entry includes extensive footnotes that cite documents like original purchase orders, jewelry inventories, and notes from the jewelers who created and maintained each piece. The introduction to the book is also very helpful, providing a historical survey of the existing collection and accounting for pieces that have been lost along the way (especially those lost because of the Hanoverian claims). The appendices provide additional information, including a family tree, a glossary of related jewelry terms, and a bibliography of sources that Roberts consulted. The jewels themselves are divided up by the women who owned them. Some of my favorite sections are the entries on the older diamonds that remain in HM's collection, especially those owned by Queen Adelaide and Queen Victoria. 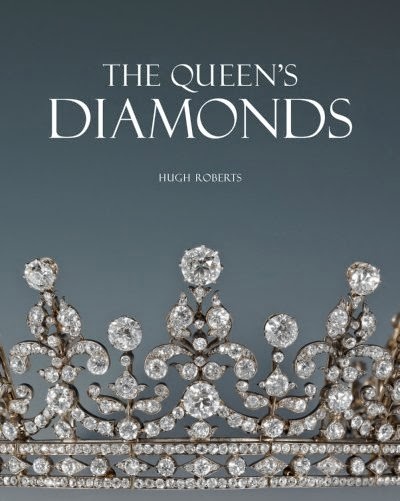 The book features all of the greatest hits of the Queen's diamonds, including the Diamond Diadem owned by George IV (seen above), the Coronation Necklace and Earrings, the Cullinan stones in their various forms, Queen Mary's brooches, and the diamonds from the Greville inheritance. Some of the pieces included appear regularly on the Queen, while others are rarely (if ever) seen in public; all include notes on provenance and inheritance that are extremely helpful to those of us who like to research these jewels as historical heirlooms. I tried quite hard to come up with criticisms of this text, and in the end, I suppose I have only two. The first isn't really fair at all: I simply wish there were more of the book! Because the text accompanied the Diamond Jubilee, many items that feature colorful gemstones were left out. (Not all -- for example, the Cambridge emeralds show up here because they're a part of both the Vladimir Tiara and the Delhi Durbar Parure, the necklace from which is displayed above by curator Caroline de Guitaut.) I would have loved to have seen the Brazilian aquamarines surveyed here, as well as Queen Mary's turquoises and the sapphires that the Queen received from her father. But it's understandable that they were left out. The Queen's jewelry collection is enormous, and any book has to set limits on the scope of its content. Maybe what I really want is a sequel? The Queen's Other Non-Diamond Gems? The other criticism is an unavoidable one: this is a very expensive book. A new copy will run you just under a hundred US dollars (although Amazon usually has it for 10% off, which is how I got my copy, and you can sometimes find other discounts from other online sellers). Because it was only published two years ago, it's tough to find second-hand copies that have been significantly discounted. But I do think that the book itself is worth the money, both because of the excellent physical quality of the publication and because of the remarkable content. 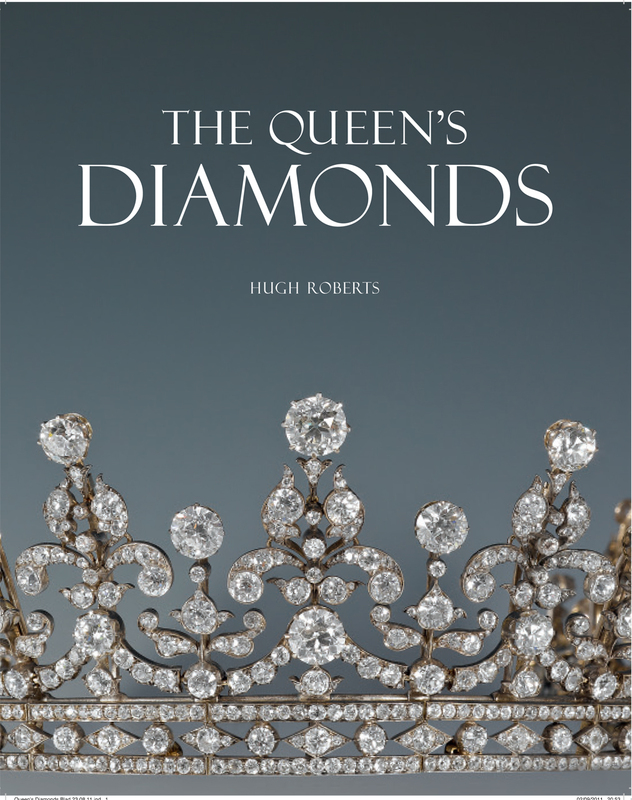 The bottom line is this: if you're a royal jewel lover who is fascinated by the Windsor jewels, you're going to love this book, and I think you're going to feel as if you got your money's worth from it. If you're new to royal jewels, and you're not yet sure if you want to commit such a large sum to one book, I'd recommend starting with Caroline de Guitaut's smaller book on the diamonds, and then working from there. But if you love royal jewels, and you're a fan of the Queen, and you've got a hundred spare ones laying around somewhere: get thee to the bookseller, and do it quick! 1. Book cover press image from distributor; source here.